We’ve been working with the Environment Agency to improve water quality in the River Don by tackling barriers to fish migration and pollution from farming. One of the key areas for improvement is reducing run-off from farms close to the river. Simple measures such as moving and storing muck in a contained muck bay can significantly reduce the amount of dirty water that flows into the river. 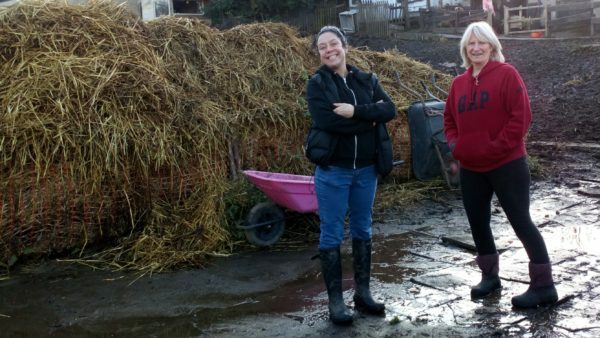 Working with farmers and landowners we’ve identified four farms which would benefit from moving their muck heap to an enclosed muck bay and work is underway to help them do this. Other areas of the project will see improved fencing to reduce sediment and stop farm animals from entering the river and a fish easement to help migratory fish move upstream to lay their eggs.